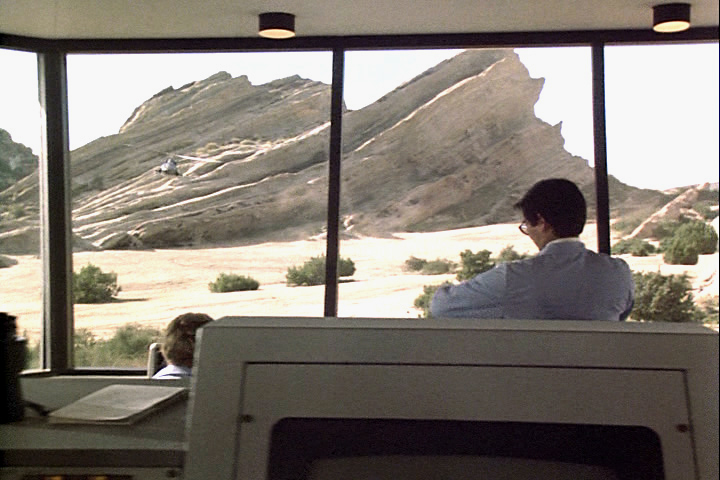 "Airwolf" (1984-87) episode at Vasquez Rocks. Starring Jan-Michael Vincent, Ernest Borgnine, Alex Cord. Photos contributed by Clark Van Hoten, editor of the "Airwolf" fanzine, The Wolf's Lair. Issue No. 1 featured Vasquez Rocks.